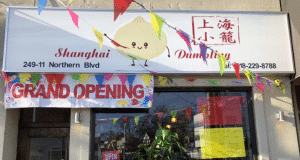 Home » Mee Stuff » Finding a Great Chinese Restaurant Just Got a Whole Lot Easier! Whoa, what do I see? The name of the Chinese Restaurant pops up along with The Chinese Quest rating (on a scale of 0 to 5). The address pops up along with a link to our review of that Chinese restaurant! So where do I find this really cool informational and interactive map? You’ll find at on the “Rankings” Page. You’ll also see it under our new Menu item appropriately called “Map”, which can be found under the category of “Reviews” on the menu bar. Where should The Chinese Quest dine next? Previous: When is a “Review” NOT an Endorsement? One other restaurant that still prepares Cantonese as well as traditional Chinese food. Hy Ting located on Main Street in Riverhead. It’s worth the trip. New Ruan in Bensonhurst is left out ! Their sweet and sour shrimp is the best since Wo Hop ! Hing Hing on Sunrise Hwy in Lindenhurst. Delicious overstuffed portions. 631-888-1777. Take-out only, or a sit down Chinese restaurant too? There is a big gap in my area! Where are the good places in South Nassau? Can you recommend any? Palace of Wong in RVC closed 🙁 So Far So Good in Lynbrook is good, but it has Japanese on the menu which ruled it out as far as https://www.thechinesequest.com goes. Cho-Sen Island is ok. It’s Kosher, just so you know, so there’s no pork on the menu. Oriental Kitchen, 451 Glen Drive, Shirley NY (in the Royal Tower Plaza, off Wm. Floyd Pkwy) is the best Chinese food I have ever eaten – and believe me, I know good Chinese food! What did you order? It is a very fancy schmancy restaurant. Have you checked out their Happy Hour? Was there a few nights ago. I should say their Happy DAY! it was pricey but really tasty and the staff was terrific…we had rock shrimp appetizer, then vegetable pad thai and a scale fish dish, don’t remember the name…have not been to their happy hour…did not know…but had a leechi martini that was yummy and friend had the cucumber martini, also yummy. These days, Foo Luck in Commack! Dee, we need you to check out some of the other Chinese restaurants in your area. There are better! Thank you! Will try to make my way to each of these! Please let us know what you think of each! And any others that we haven’t reviewed yet! Please post the info about the book again here so others may as well. Thank you! Will let you know and share your links as well! When was the last time you ate at Orchid in Garden City? Has it improved in the last three years or so since we reviewed it? No restaurants in chinatown manhattan ?????? https://www.thechinesequest.com Is making our way East. 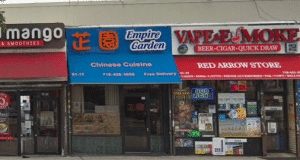 Originally we just sought the best Chinese restaurant on Long Island. Then we realized the demand was that great that we started migrating West. Of course I meant to say working our way West*. Wo Hop is definitely on our radar! Not in China Town but Peking Duck House in midtown is pretty amazing. Being people- they only serve their Peking Duck whole. Kathryn, I don’t know if I can convince ALL the Mee’s to go at 3am. Why is it better at 3am than at 7:00pm? 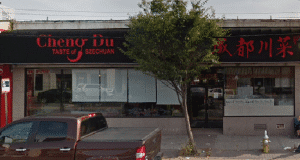 Kathryn Daum Want to join us at Peking Duck House in Midtown? The people – the service- the food. Everything seems a little more intense. Guess it’s a NYC thing? Just to be able to get that quality Chinese food at 3 am makes me happy. Hope that makes sense? Perfect sense. I grew up in Manhattan. I get it! The Chinese Quest now that’s an awesome invite. Have any dates in mind? Weekends are always good but need to check the hubs schedule. He’s a huge fan of Peking Duck House! Is it 100% Chinese? i.e. not Fusion or Japanese or Thai, for examples, on the menu. 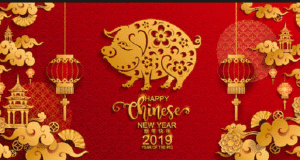 Which Chinese restaurant should https://www.thechinesequest.com go to next? Charlotte, do they serve Japanese and Chinese food? The Chinese Quest Note the vast desert with Bay Shore at its epicenter. Joseph, can you recommend any Chinese restaurants in that area? It’s always good to find an Oasis that’s not a mirage. Joseph, are you aware of an Oasis (Chinese restaurant) in that desert? Yes. Have been there but not recently. Probably the best option but I work 5 min from Chef Wang so I am spoiled. Mango Tango just opened in downtown Islip. Food ok but not for purists (fusion/sushi). Chef Wang, in New Hyde Park is very good! 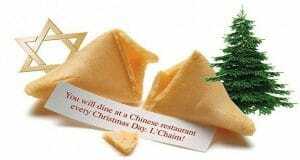 Please share this post with anyone you know who loves Chinese food!